From time to time we want to indulge ourselves to some rustic, smokey meals to satisfy our barbecue appetite. Some of you opt to do it in a much simpler way, some choose to go for a little more extravagant party templates. You may also see invitation designs. 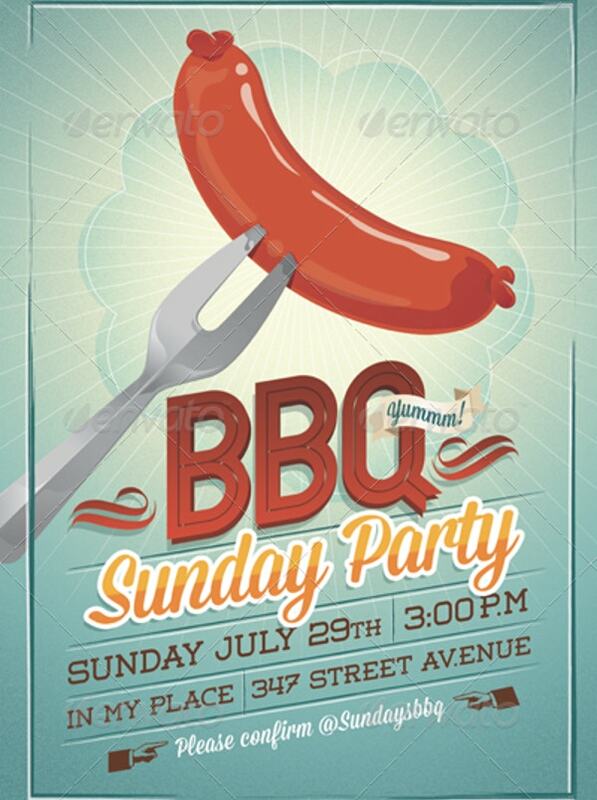 There is actually this sense of community, togetherness, spontaneity, and fun in barbecue parties. It is the shared laughter, the communal effort in grilling and watching over the grilled foods, that make this type of party fun and memorable, albeit its simplicity. Barbecue parties are a long common tradition in the Western side of the world. More often than not, it is done in an individual’s backyards set with grillers and long tables to provide the full barbecue experience. Most notably, people do this in order to get together with friends and families and just have a really good time. 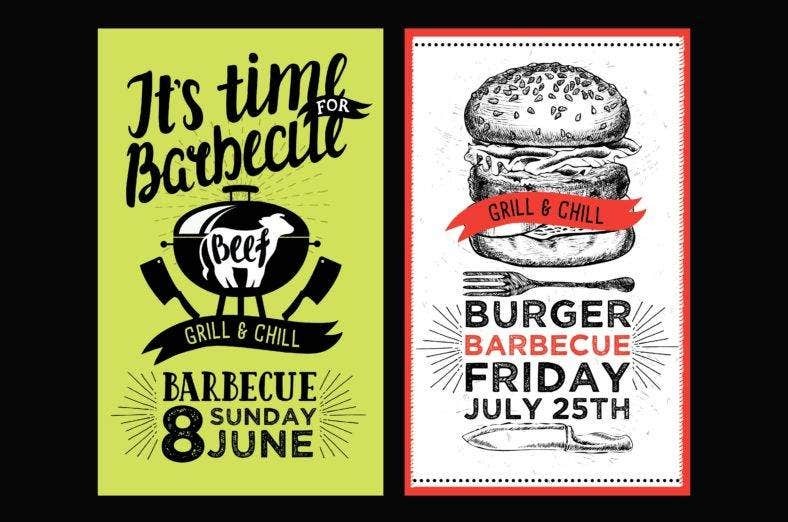 This is also where people’s love for anything grilled is shared, as the intent of the party is to serve mostly grilled foods from burgers to chickens, to meats and slices of vegetables, even hot dogs, and S’mores. 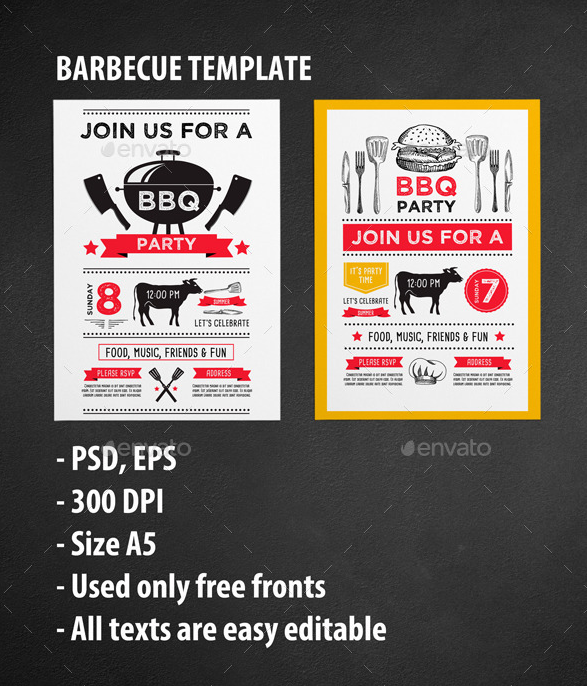 You may also see picnic invitation templates. But, aside from the food aspect of a barbecue party, there are also other things you can add and do to fully realize your barbecue party. In terms of the setup, you can add in, from the already basic long tables and grillers, flaglets to increase the festive feel of your backyard and this could be in any color of your liking. For your long tables, you can cover it with a red and white or blue and white checkered tablecloth. You can also hang in lights in your plants or trees for that beautiful twinkling scenery and cozy ambiance at night. Flowers in a pot are also an optional choice for centerpiece decoration for tables. You may also see printable invitation templates. Furthermore, you can organize certain games for both adults and kids alike that are in your barbecue party. These games will create a fun atmosphere and will make you bond more with your guests. There are different games for people of all ages, for example, the classic sack race, there is also the horseshoe and the limbo, you can even do piňata for the kids present in your party, or any activities fit for any outdoors, you can also provide water guns or other water toys. There is an endless choice for you to make your barbecue more fun. You may also see kitty party invitations. 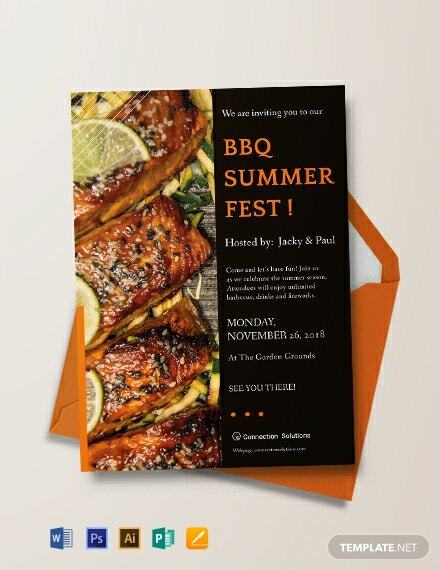 There are simpler ways to relay your message to your guests, but there are far better options to do so and that is through invitation cards. That amidst the rapid growth of technology and social media, remains an effective means to let your guests know about your events. 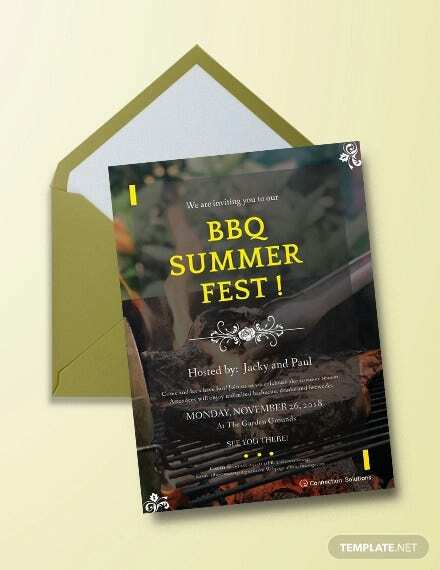 An invitation card is meant to inform the people about the upcoming exciting event that you are planning to organize. It is also through these sample invitation cards that the guests will get to know of the necessary information about the party like when and at what time it starts and it also will inform your guests about the exact location of where the party will be held at. There is an undeniable appeal that comes with a tangible and physical invitation as opposed to just simply resorting to social media. It is, as well, an experience you get to impart to your guests and through this, you are giving them an idea of what to expect from your party. It is true how party invitations have remained steadfast amidst the incrementing advancements of technology and social media. Its effectivity and appeal have never wavered making it still the ideal option for your barbecue party. 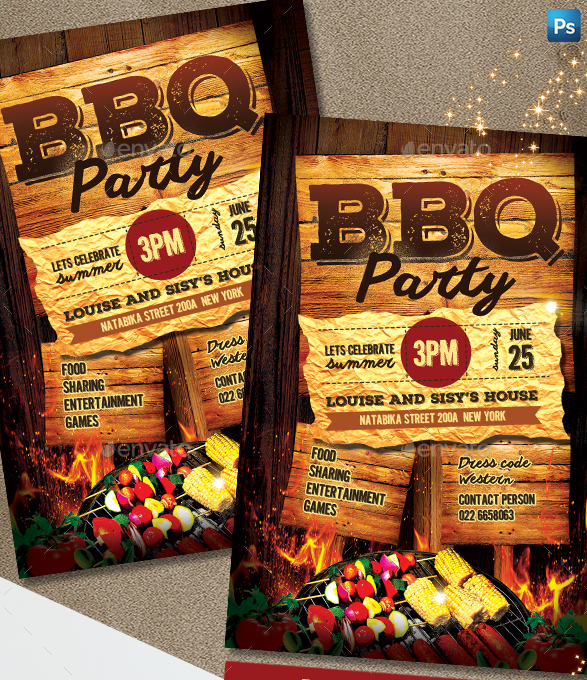 There are different ways with how you can acquire your very own party invitation card for your barbecue party. Among the famous ones are acquiring the help of a professional graphics artists or by simply buying a bundle in stores that offer such. These two options, although capable of giving you the blank party invitation you desire, come with drawbacks that make these two less ideal options. 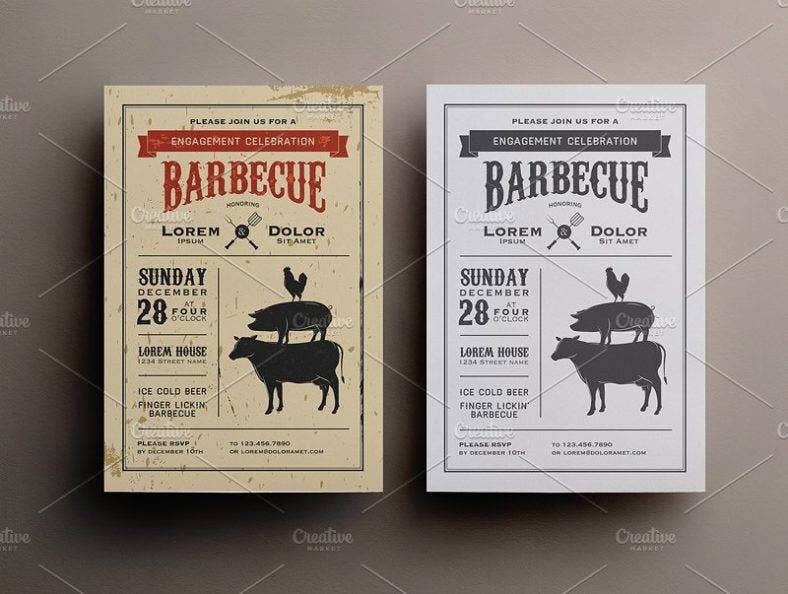 For seeking the help of a professional graphics artists in terms of making and designing you your sample invitation card, it can come at a really hefty price. This is because of the amount of work that comes with it, there are the numbers of consultations that transpire before the actual creation of your invitation card. The reasoning for this is to fully know what you want as a customer and take into account the best and ideal options for you. 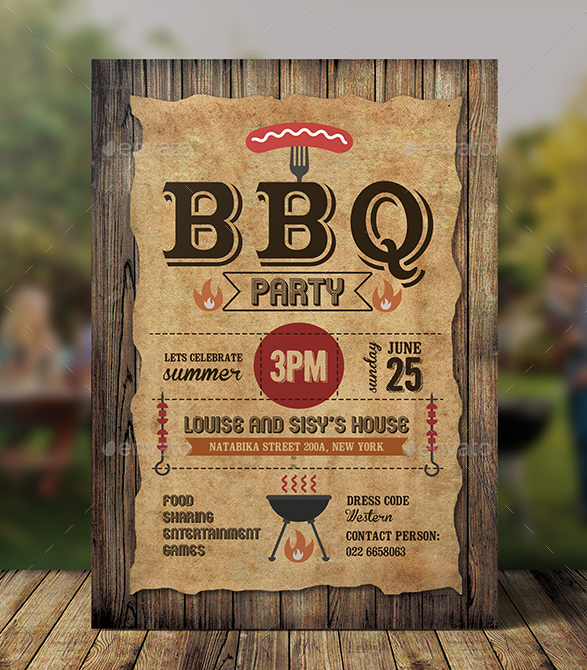 Also, with seeking a professional graphic artist’s help, they tirelessly work on your invitation card for countless of hours to meet your demands and requirements as a client. As for the other option that is by buying a bundle in stores, although it is equally capable, sometimes design and quality are being compromised. And, if you want those designs that do not come with a mediocre design, sometimes they cost a lot and not even in bundles but per piece. 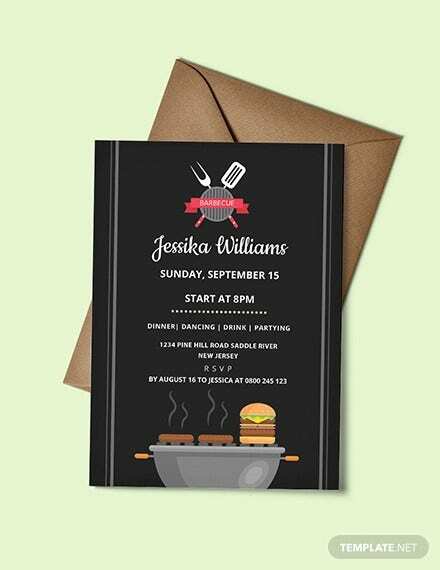 Luckily, there is an option that acts as a middle ground for both formerly mentioned, by buying a premade designed invitation card, not only are you assured of its quality in design but also in terms of an affordable price point. 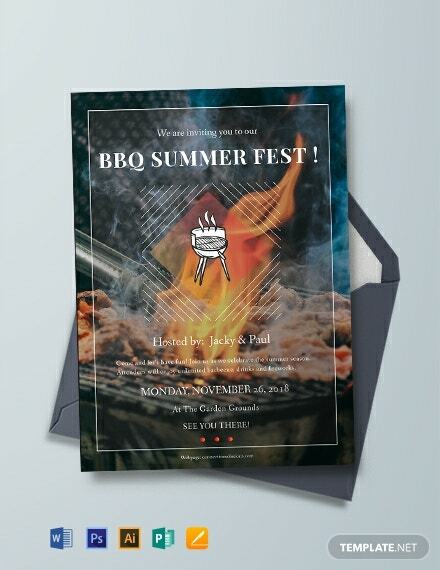 Premade designed invitation cards are made according to the designer’s preference, this means that the designer or graphics artist behind such designs are not restricted by demands or requirements by anyone and is working on his or her own liberty. With that being said, there are various designs to choose from and it solely depends on what kind you are seeking and what specific design you will gravitate towards to. In line with that, it is no surprise that most premade designs cost a lot less than most of its other counterparts. Other than being available at an affordable price point, premade designs also come with advantages that set it apart from other options, making it all the more an ideal choice for you. Premade designs are also easily editable and customizable considering that it is saved in a file that is easy to do so. 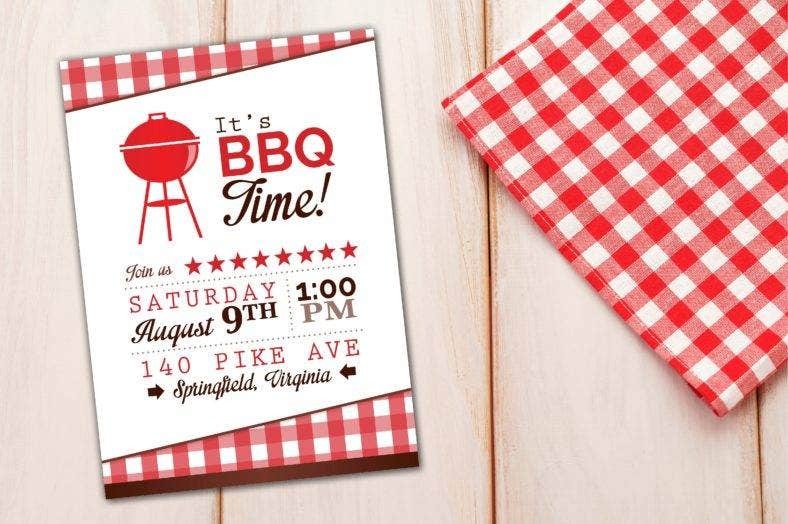 Often times, it comes with a smart object layer that will enable you to move around elements in the design to create a more personalized invitation card. Premade designs are fully editable from texts, cool fonts, colors, and so on. To elaborate on how premade designed invitation cards act as a middle ground to the former options mentioned, these invitation cards are initially designed by graphic artists, equally talented as those professionals, then leaving the rest out in your hands. 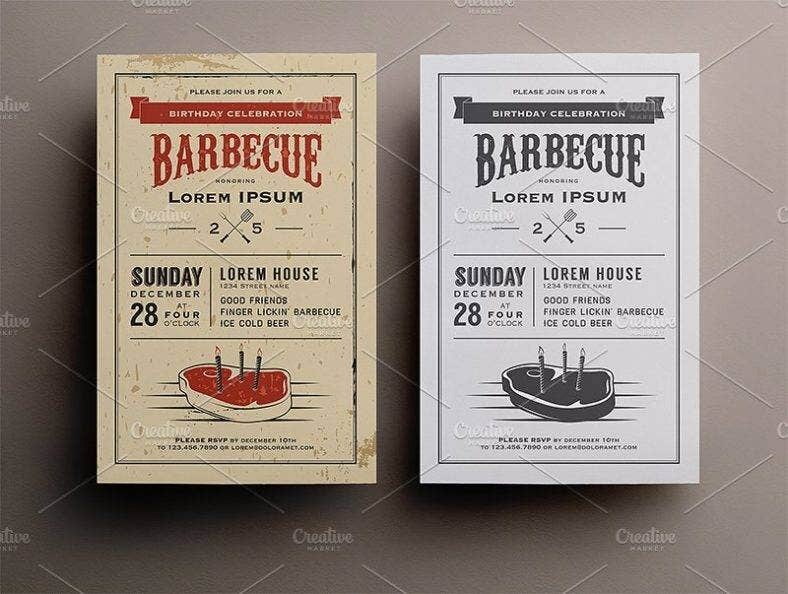 Meaning, after setting the design and laying out where certain information should go, it is at your liberty and preference to edit which kind of font to use, what text to put in, even where certain design elements should be placed, and so on. It almost works as a collaboration between you and the graphic artist. 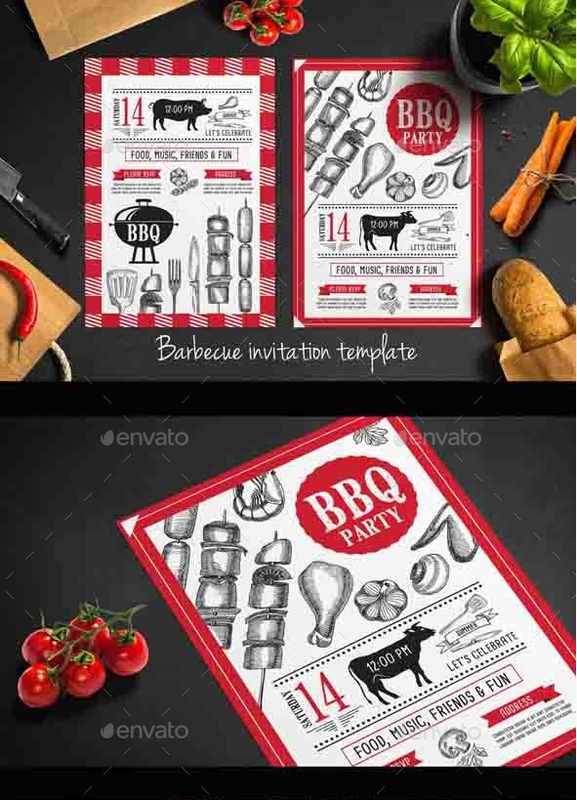 If you found this article helpful in any way do not forget to bookmark this page for future references and kindly share this with other individuals who are seeking the best and ideal party invitations for any kind of party, especially to those who are organizing a barbecue party and is seeking the perfect barbecue party invitations to go with it. Most of these parties happen in a person’s backyard, where they set up long tables, ice-cold beers, and of course a griller for that full backyard barbecue party experience. There’s a lot of things that you can actually do in a barbecue party, it is not just straight-up grilling foods and sharing stories over a savory set of meals. 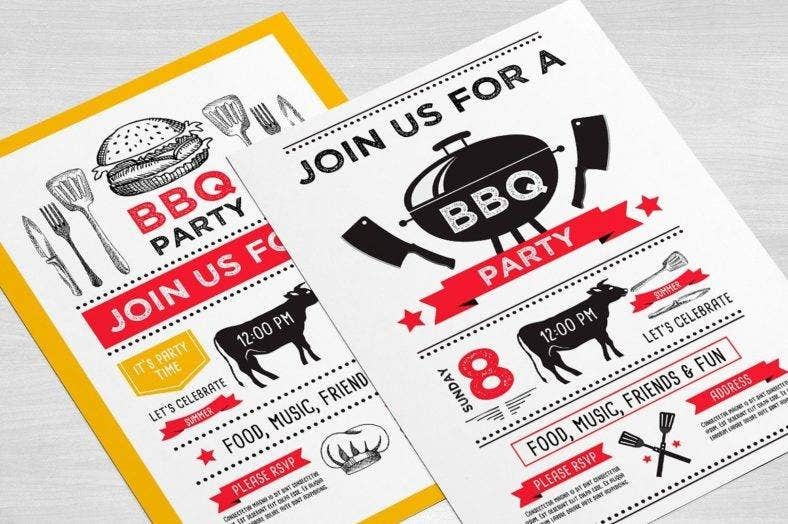 With that said, let us look into the possible things you can do in a barbecue party and discover the best way to invite your guests to your party.